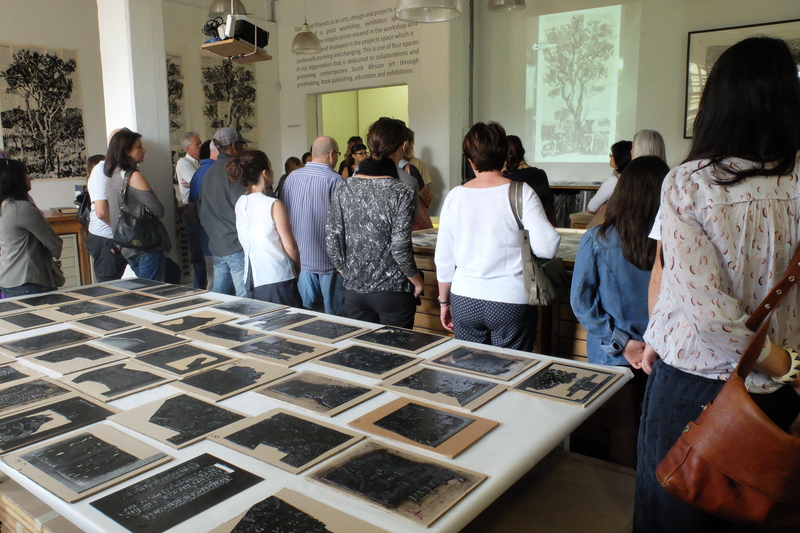 On Saturday 28th of March the David Krut Workshop (DKW) hosted a demonstration for William Kentridge’s If you have no eye-The Full Creative Process. 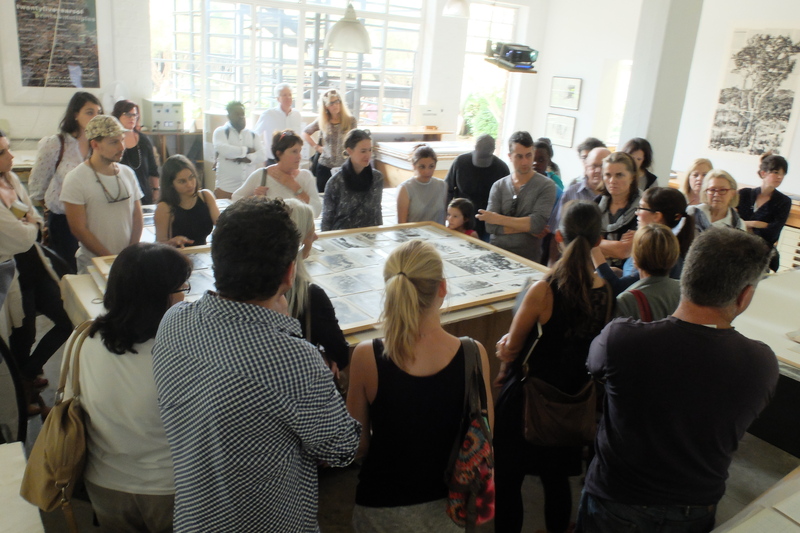 This event provided insight into the full creative process of the making of –If you have no eye,William Kentridge’s large scale,110-page-linocut-from carving to printing,to assembly and everything in between.Master Printer Jillian Ross and Printmaker Neo Mahlasela took viewers through the proceedure and explained the details to an enthusiastic and intrigued audience. 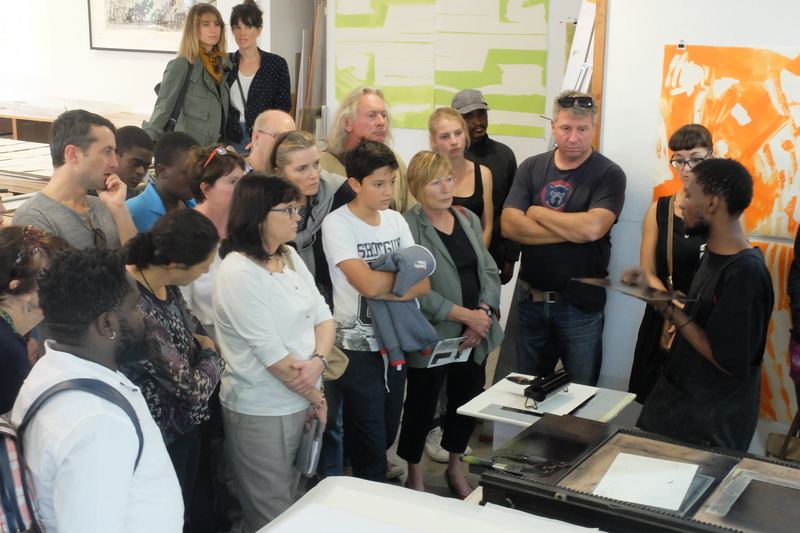 Master Printer Jillian Ross explaining the overall concept to the audience. 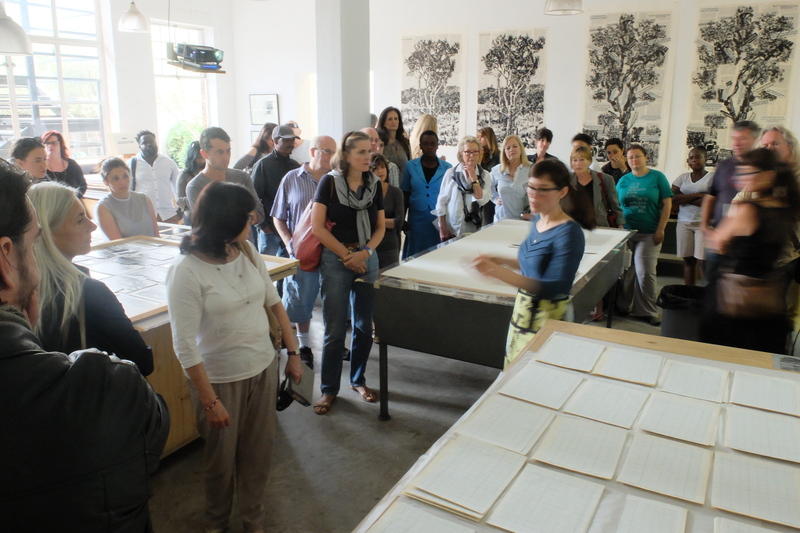 Master Printer Jillian Ross demonstrating assembly of the tree using a transparent sheet with a grid map of where each piece should be placed, at the light box. 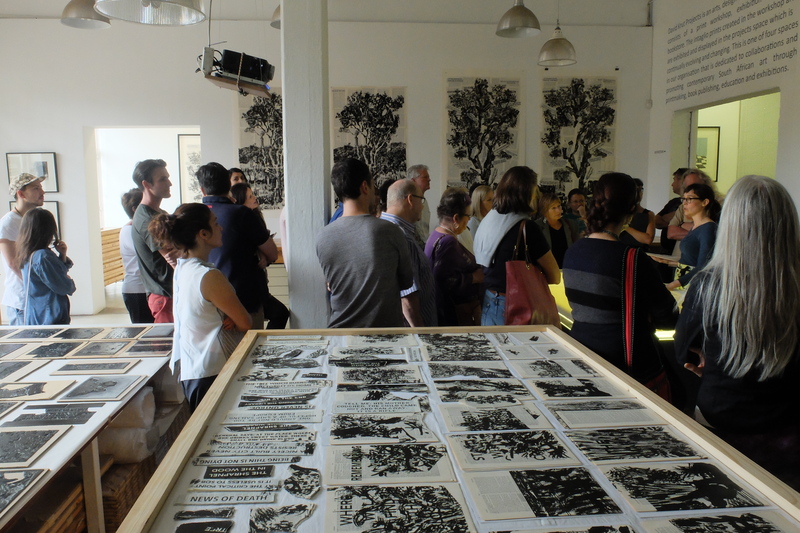 Master Printer Jillian Ross taking the audience through the stop motion video of the assembly.Behind them, linoleum tile onto which text/design has been inversely carved and inked. 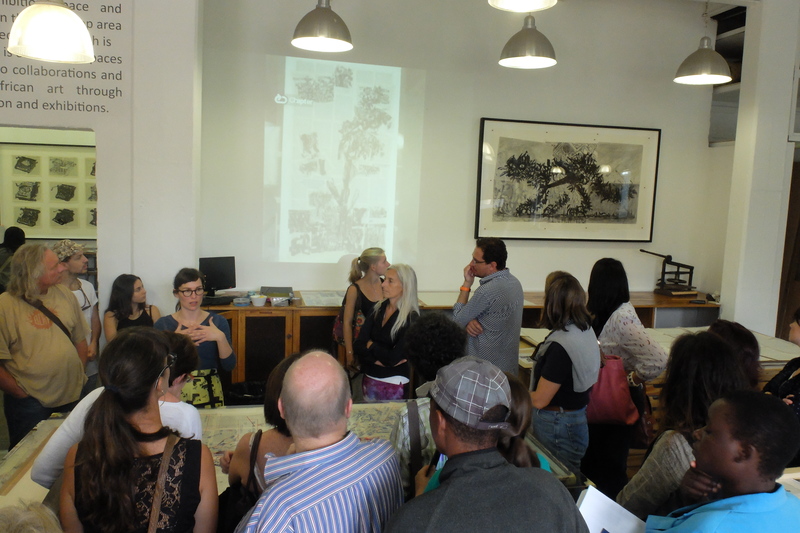 Master Printer Jillian Ross showing her audience the non-archival quality paper that has been printed on. 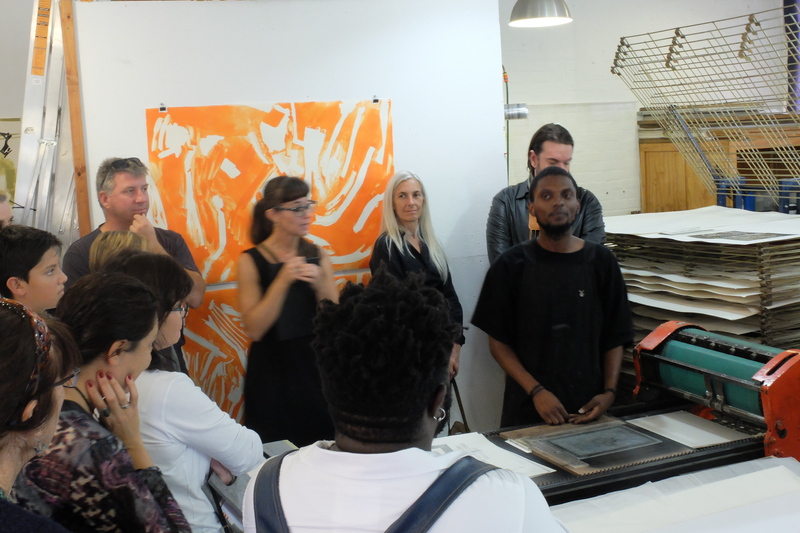 Printmaker Neo Mahlasela takes his audience through the printing process. 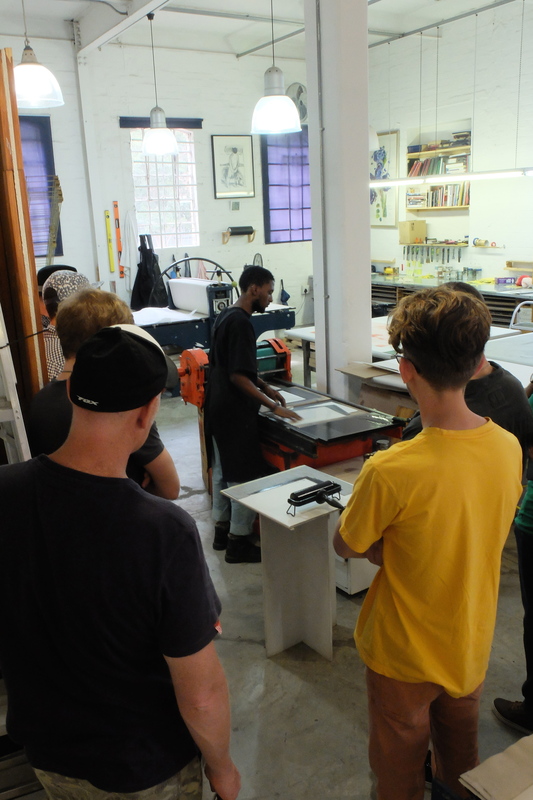 Printmaker Neo Mahlasela inking a linoleum plate. 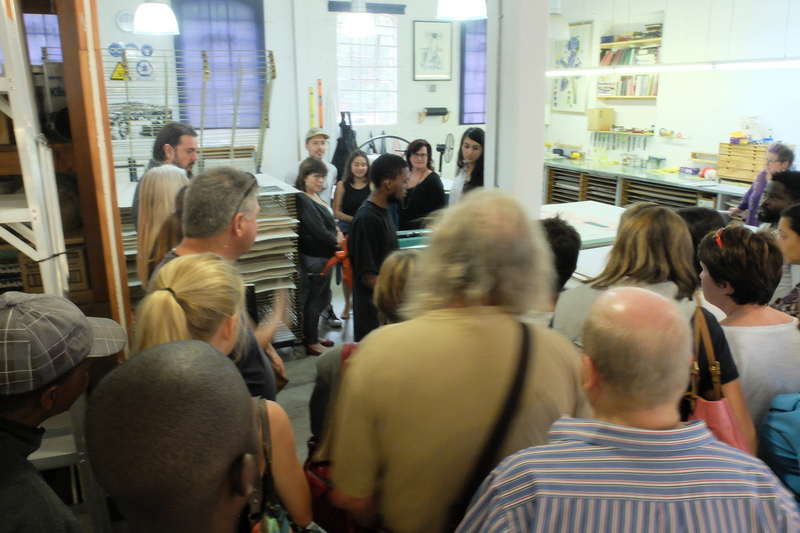 Printmaker Neo Mahlasela explaining the printing/press process to his audience. 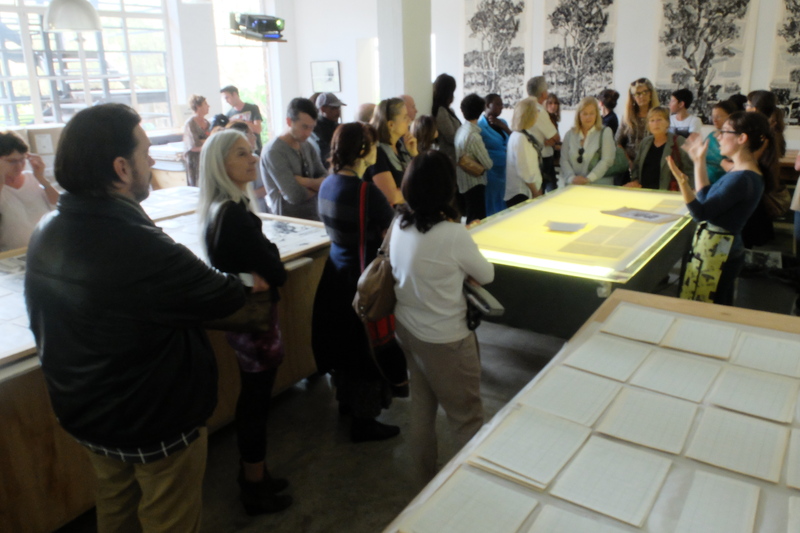 Audience members explore through the DKW. 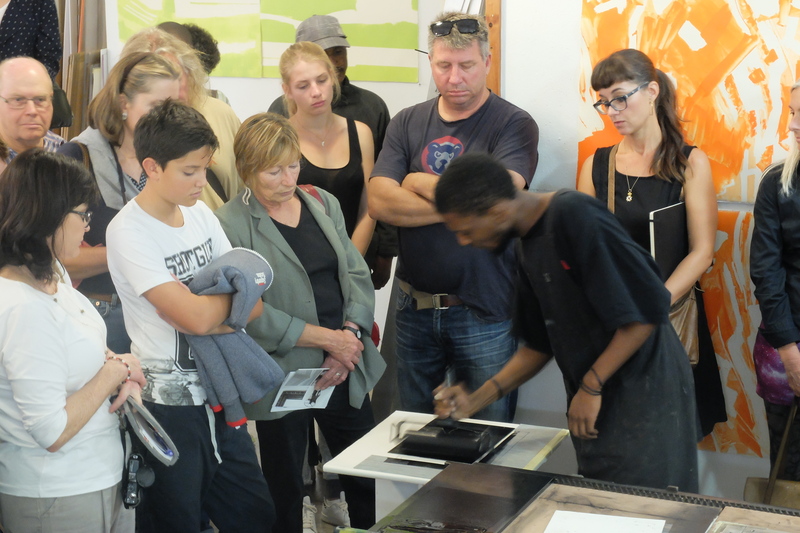 Be sure to look out for more events and demonstrations at DKW,Arts On Main.